Folk Night at the Registry launches its second decade of co-presentations between Old Chestnuts Song Circle and the Registry Theatre. The partnership has been one of the most fruitful for the live performance venue, located in the heart of downtown Kitchener. Program artistic director Jack Cole has booked acoustic artists from England and the U.S. in addition to Canada. A couple of concerts cast a light on area talent. Folk Night starts off with one of England’s finest singer-songwriters. 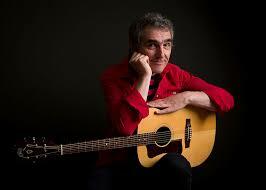 Jez Lowe should be well-known to folk fans who have attended the Mill Race Festival of Traditional Folk Music. Lowe has performed a couple of times at the summer festival held over the Civic Holiday weekend and at concerts at Cafe 13. This concerts makes his Kitchener debut. Born in County Durham in a family of Irish ancestry, Lowe’s songs embody the culture and the history reflected in the coal-mining economy of the northeastern part of England he calls home. He has released more than 25 albums as a solo artist, as a band member of The Bad Pennies and as collaborations with other artists, including The Ballad Beyond, The Old Durham Road Fellside and Bede Weeps. Some of his best-known songs include The Pitmen Poets, Back in Durham Jail and Old Bones. He accompanies himself on guitar, cittern and harmonica. In the service of full discloser, I hold that Laura Smith is one of Canada’s best songwriters — with a voice to match. She made her debut at London, Ont.’s iconic Smale’s Place coffee house in the 1970s where she worked as a waitress. Ontario-born and Nova Scotia-based, Smith is a winner of the East Coast Music Awards. How she has escaped Juno accolades is beyond me. From her transcending contemporary reading of My Bonny to her own moving I Build A Boat, Smith should not be missed. Robbie Smith and Kathleen Glauser are The Twins. The duo’s sophomore CD Drifters and Dreamers features original folk songs with a Canadiana/Americana theme; beautifully distinctive harmonies; and an array of acoustic instruments that transport listeners from the wild seas on a whaling vessel off the coast of Newfoundland to a river journey down the Old Missouri. 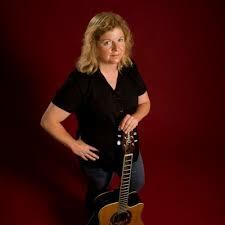 Sheila Carabine returns to Folk Night where she first appeared in 2010 with the Juno-nominated Canadian folk duo Dala. Her debut solo album was inspired by a chance visit to an Acadian community in Nova Scotia. Most of the CD was recorded in a century old chapel in Church Point, N.S. With songs of love, loss and the longing for fulfillment, her set is sure to touch your heart. Brad Nelson’s love of acoustic music began as a kid, when he got bit by the bug at the Mariposa Folk Festival in Orillia – and he’s been performing ever since. His musical influences include folk, pop, country, rock, Maritime and Celtic. From the Barrie Arena as a novelty kid act to playing the Maritimes in the Celtic band The Farriers, Nelson has become a popular solo artist in Waterloo Region. Celebrate the ‘real’ — or perhaps the ‘reel’ — St. Patrick’s Day with The Celts, featuring Nonie Thompson, Eugene Rae, Anne Lederman and Tom Leighton. These talented solo artists, who are well known to local audiences, join together to perform their multimedia Celtic show, presenting a story through song, dance and beautiful images that capture and express the mystical spirit of Éire. Lennie Gallant’s 11 albums have garnered him numerous awards and nominations. The Pride of Prince Edward Island & Acadie, he was honoured with a 2015 Canadian Folk Music Award for his CD Live Acoustic at The Carleton. His latest studio recording If We Had a Fire was named Roots Recording of the Year at the East Music Awards. Many artists have recorded his songs including celebrated classical vocalist Measha Brueggergosman, Ode de L’Acadie and The Rankins, as well as Margaritaville’s Jimmy Buffet. Gallant recently wrapped up the second season of his multimedia musical Searching For Abegweit: the Island Songs & Stories of Lennie Gallant. SATURDAY AFTERNOON WORKSHOP – Gallant conducts a limited attendance song & story workshop on the afternoon of April 18. The Quebec-based folk trio of Dave Clarke, Ellen Shizgal and Tod Gorr return to Folk Night. Memorable original material spanning folk, country and bluegrass and a fresh sound boasting finely textured harmonies have made Steel Rail a favourite of acoustic music fans and critics over the last two decades. The band’s three albums have received rave reviews. Steel Rail debuted at Folk Night in March 2007 — so this return engagement is a long-overdue return. Folk Night continues its commendable pattern of presenting some of America’s most accomplished folk and acoustic acts. The beauty of Cole’s booking is that many of the acts are not as nearly well-known to Canadian audiences as they should be. So, for me, these are must-see concerts. One of America’s acclaimed singer-songwriters, Bill Staines has traveled across North America over four decades, singing his songs and delighting audiences. 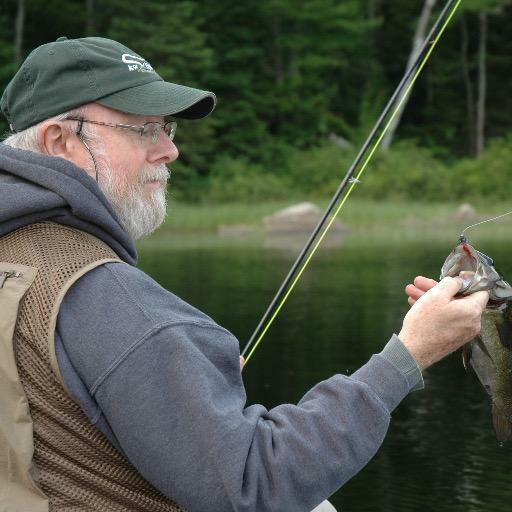 A New England native, he became involved with the Boston-Cambridge folk scene in the early 1960s. 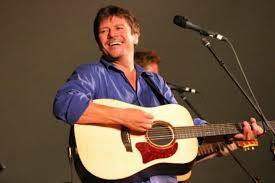 Singing mostly his own songs, he has become one of the most popular and durable artists on the folk scene today. Many of Staines’ songs have appeared in school music books, church hymnals and campfire songbooks. He had no fewer than eight songs published in Rise Up Singing Songbook. 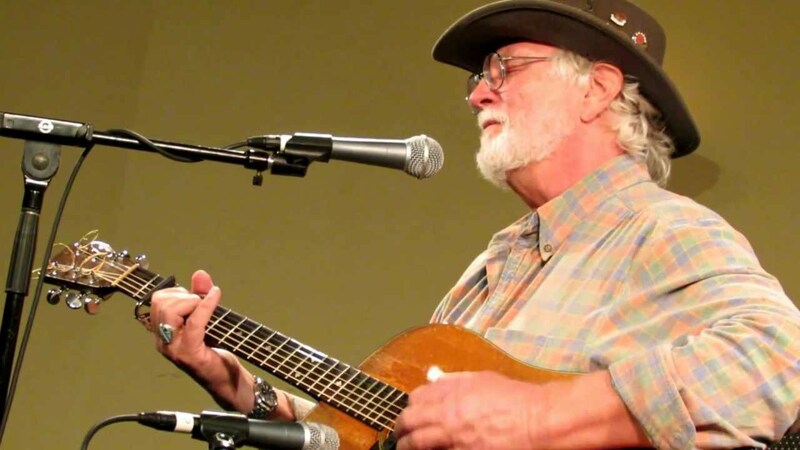 If you aren’t familiar with the folksinger, you can take the word of no less a songwriting diva as Nanci Griffith when she says,’[Bill carries on where Woody left off – carrying on the tradition of stories and characters you wish you knew.